Lisbon is a fabulous city to visit for a short break, as I recently discovered for myself, and being further south than most European cities, the mild weather makes it an excellent choice for an out of season escape. 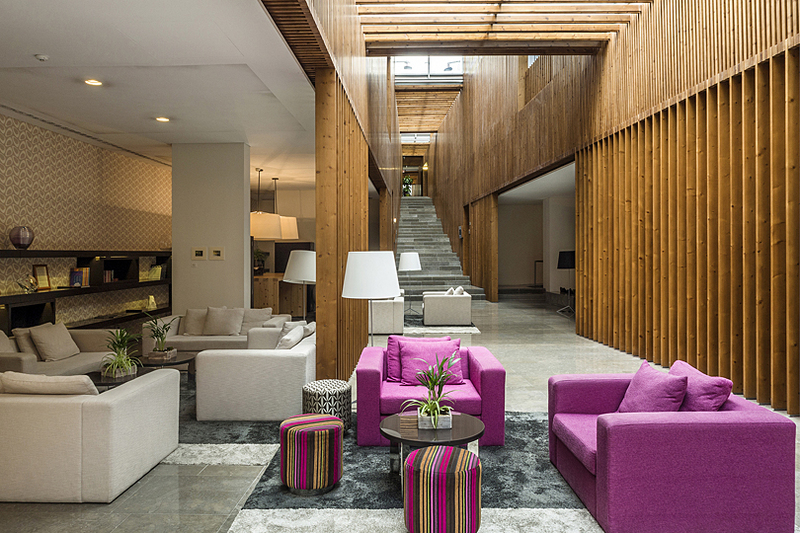 I’d never been before and while I was eager to explore the city, my main reason for being there was to learn about the sustainability and corporate responsibility policies of a very special hotel, the Inspira Santa Marta. This 89 room, eco-friendly boutique hotel is just north of the city’s historic centre, with its beautiful architecture, fabulous restaurants and Fado bars. The hotel has kept its traditional facade with wrought iron balconies and smart black awnings. Step inside, however, and you’ll find a rather funky lobby lounge with bold shapes and colours. 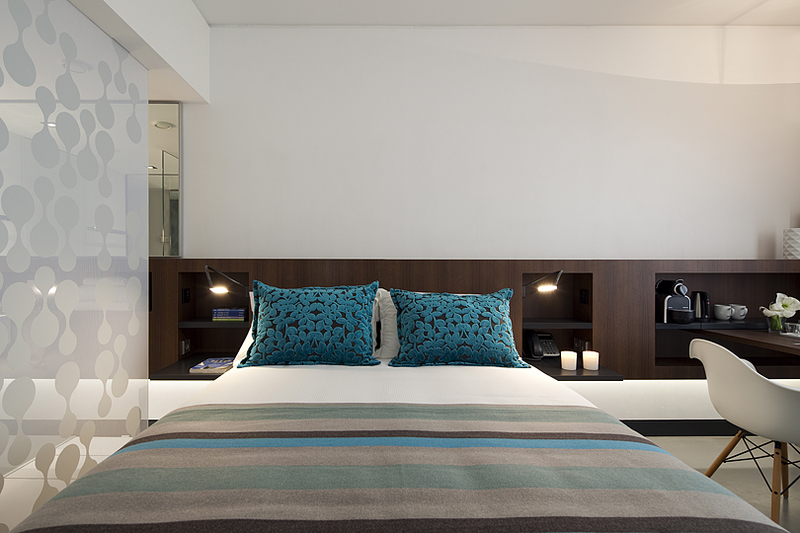 The design and layout throughout follow the principles of Feng Shui, including in the guest rooms, each one of which is themed on one of the elements – earth, water, fire, metal and wood. I loved my ‘metal’ room, with free Wi-Fi, a Nespresso machine and cutting edge controls for the room’s lighting and temperature. I felt very at home there and I found the staff were extremely helpful and welcoming plus my massage at their spa was spot on. It was the perfect place to stay for my long weekend but there is so much more to this hotel that might not be immediately obvious to the casual visitor. Right from the start the concept behind Inspira was all about sustainability. They invested in innovative technology and sustainable strategies from the outset to ensure that employees and customers have as little impact on the environment as possible. For instance, when the hotel was being renovated, rather than build a roof terrace for guests to enjoy, they installed solar panels, in fact they only use renewable energy. From the lobby skylight with heat-reflecting film and the cork flooring in all the rooms (amongst many other benefits cork has great insulation properties and harvesting it doesn’t kill the tree ) to organic waste recycling and their paperless policies, they are striving to continually improve their sustainability practices. All new employees take part in environmental awareness and sustainability training and the hotel runs many social responsibility initiatives involving employees including volunteer activities and study visits. This, however, is where they really took me by surprise when I visited. The sheer number and variety of projects that Inspira support as part of their social responsibility policy is staggering. From working with their neighbours, ACAPO, a Portuguese NGO which provides support to blind people to the unused food from Inspira’s kitchen being donated to Solsal, a local charitable institution, providing meals to families in need, they really are making a difference. They also sponsor various charitable fund-raising events and sell fund-raising gifts on behalf of charities at the hotel, as well as sponsoring projects directly. Lisbon’s Botanical Garden, which dates back to the late 19th century, is located right in the city center, between Avenida da Liberdade and Principe Real and is just a short stroll from the Inspira Santa Marta Hotel. 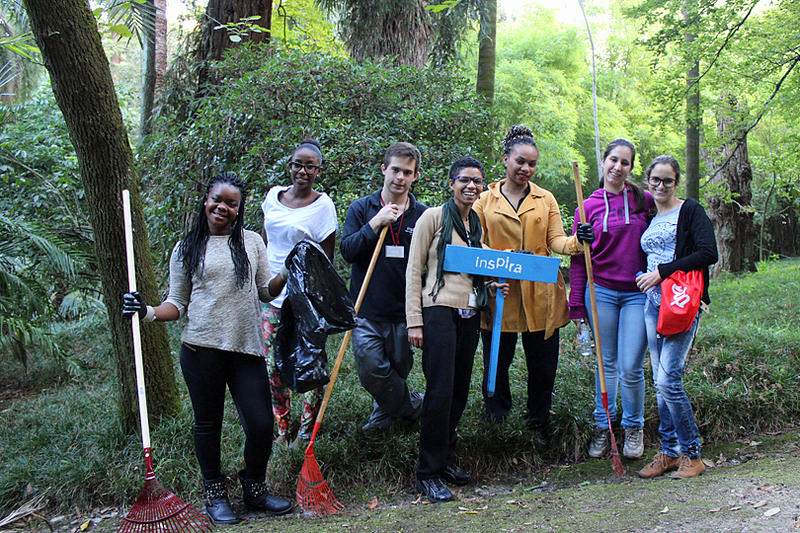 Last year Inspira launched a new initiative for World Responsible Tourism Day in partnership with the National Natural History and Science Museum, of Lisbon’s University. A group of stakeholders were invited to participate in an initiative of cleaning and conservation of the Botanical Garden. Inspira further committed to maintaining a portion of the garden so their staff get the chance to do a spot of gardening every now and again, instead of their usual job at the hotel. The hotel’s commitment doesn’t end at Portugal’s borders. In partnership with London based NGO Pump Aid, Inspira is sponsoring the construction of water pumps and sanitation facilities in Malawi. 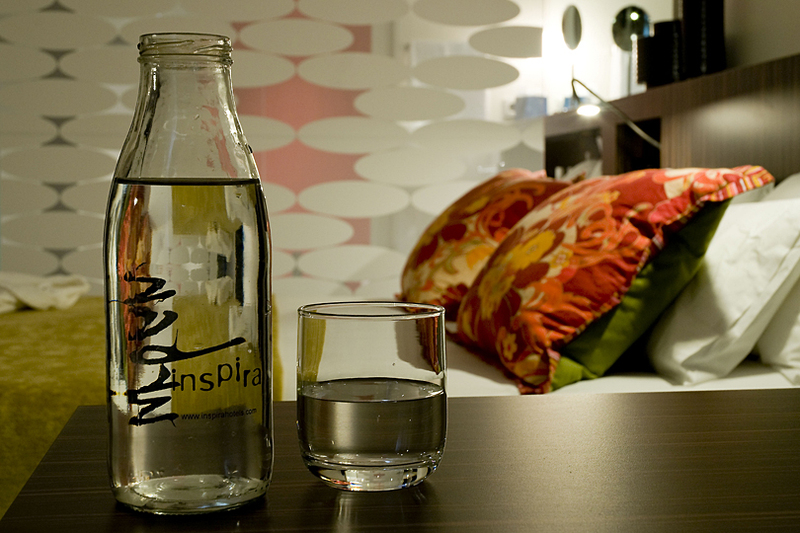 As part of their efforts to reduce their carbon footprint, Inspira offers filtered water served in recycled glass bottles. Although this water is provided free of charge in the rooms and common areas, Inspira charges for the water consumed in the restaurant and bar with the money raised being donated to Pump Aid. Unsurprisingly the Inspira Santa Marta hotel boasts a number of 3rd party certifications – Green Globe Certification, Travelife Sustainability Platinum award and Trip Advisor Green Leader Platinum award. With so many hotels taking part in green washing, with token gestures that rarely add up to much, it couldn’t be more refreshing to discover a city centre hotel so committed, on every level, to sustainability and social responsibility policies. Their hope is to inspire others to follow their lead. Wow! This hotel looks and sounds incredible. I’ll be in Madrid for quite awhile this Spring and would love to visit Lisbon for a weekend so I’m definitely bookmarking this. Thanks for sharing! I really enjoyed staying here and I’d highly recommend it whether you are travelling as a couple, on business or as a solo traveller.